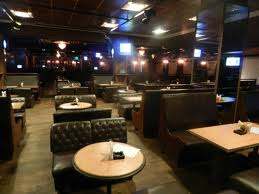 This is like the best place to have a beer or two with your friends when you are low on money. If your treating your friends or taking out a girl at this place, the bill at the end of the party just makes you so happy. The food is strictly okay and though the starters and snacks are quite cheap, they are not extremely tasty or something(Try the Bhutan Chicken , its the best chicken starter they have, atleast according to me). The ambience is great (loud and noisy kinda way) and smoking is allowed( A note here, dont take your friends who are allergic to smoke, they might not have a good experience). Also the service need to improve(A tip here, Also give your tip(a nice one) before ordering the booze, it works better that way and you will have a better service).Overall its the best bang for bucks around this part of the city for boozing and chilling out. Sony Customer Care Centres In Hyderabad.